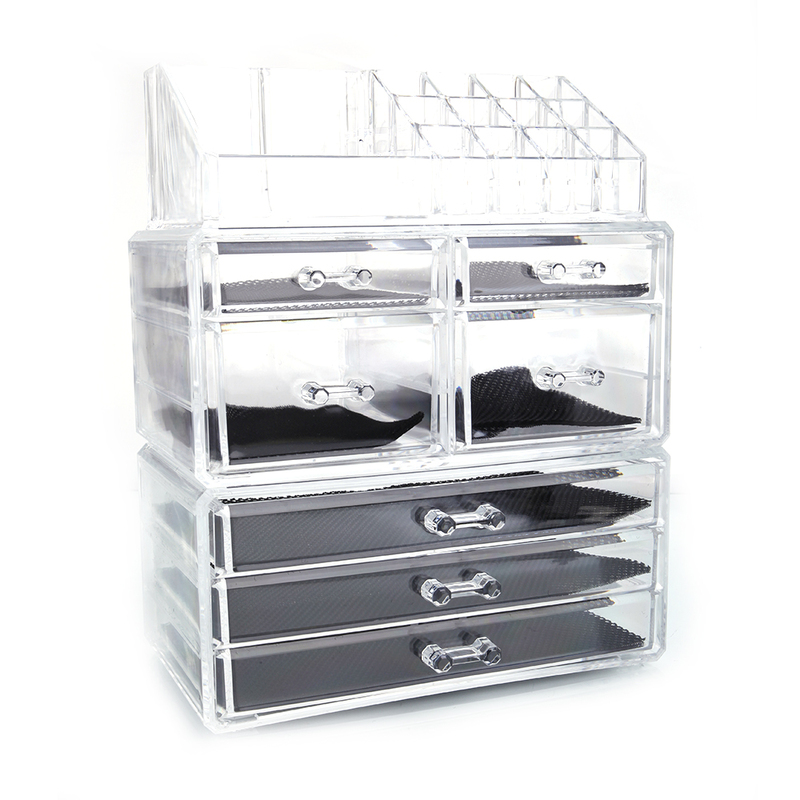 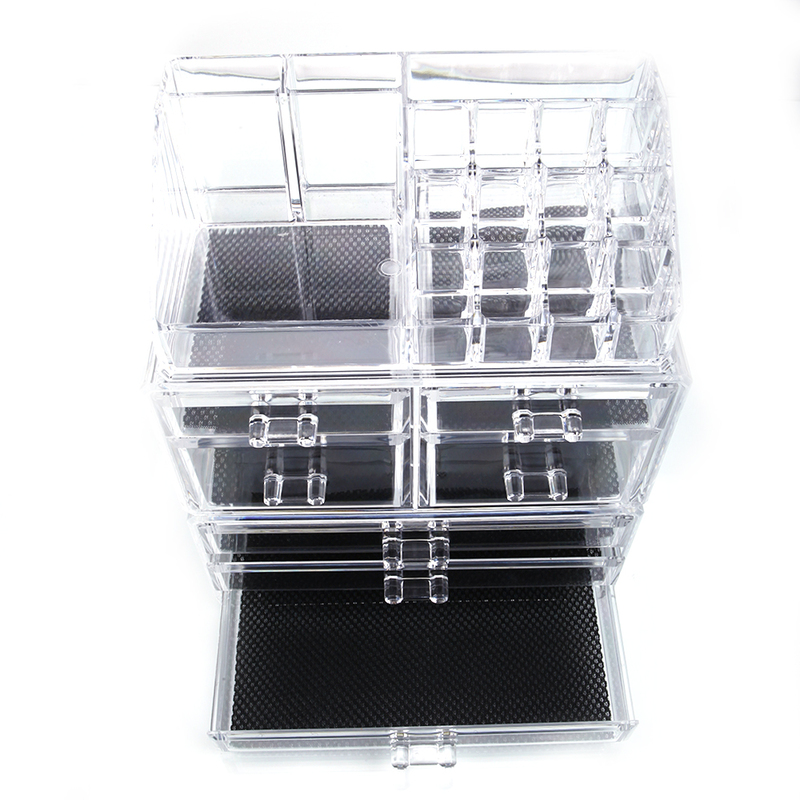 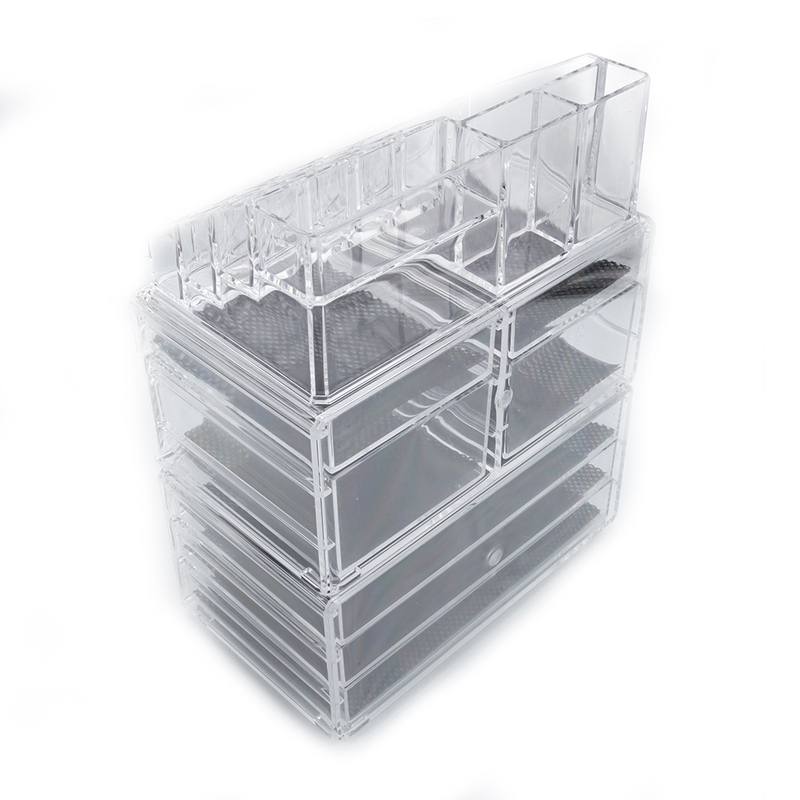 This Plastic Cosmetics Storage Rack will be your best choice. 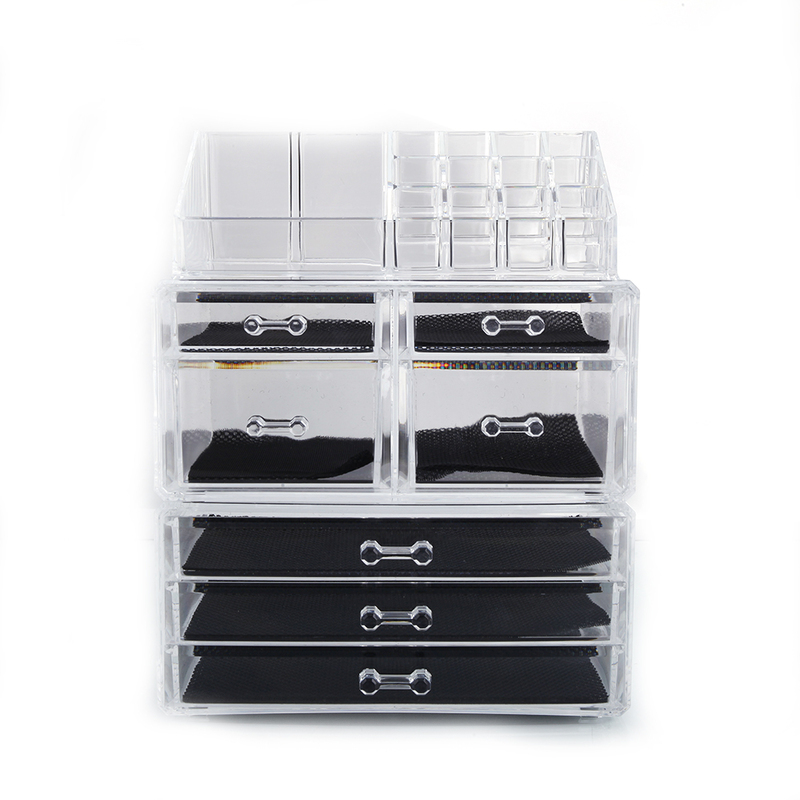 Its compact and fashionable design is pleasant to set your cosmetics. 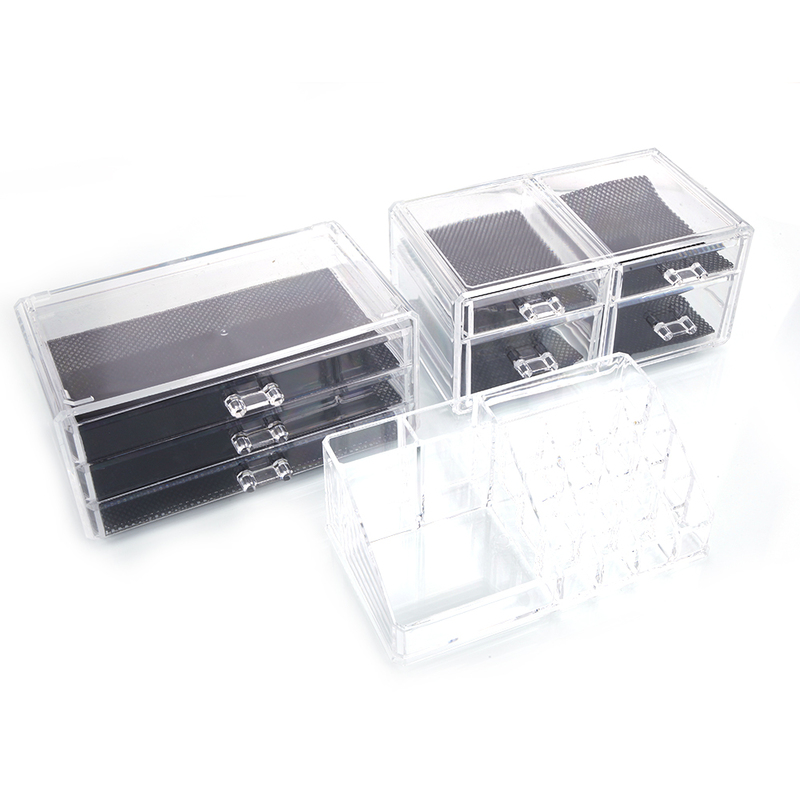 Moreover, it is made of high quality plastic material, durable and comfortable by touch. 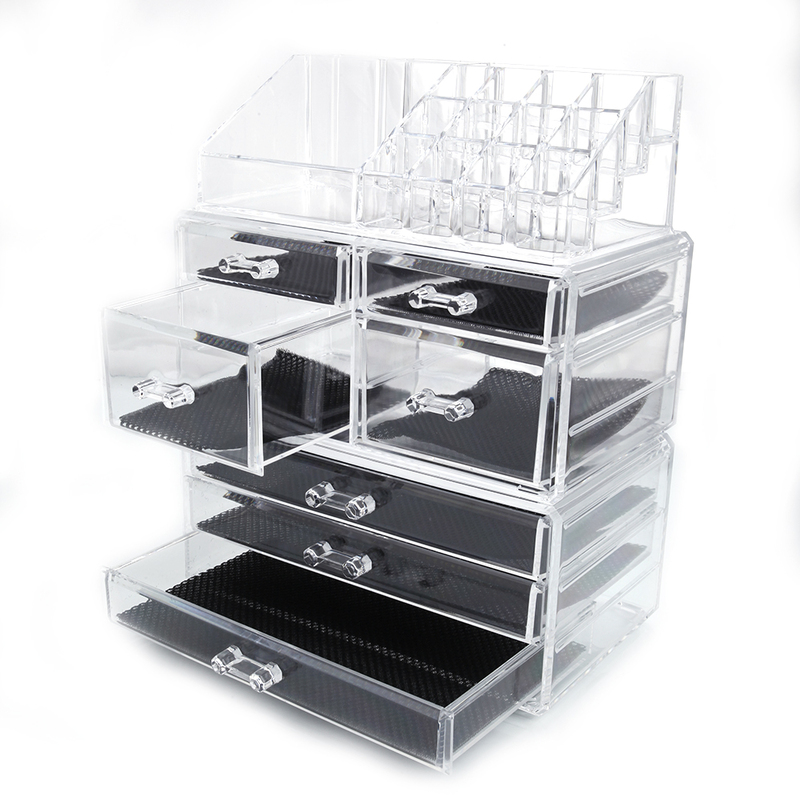 This cosmetics storage rack is specially designed for the one who have many cosmetics! 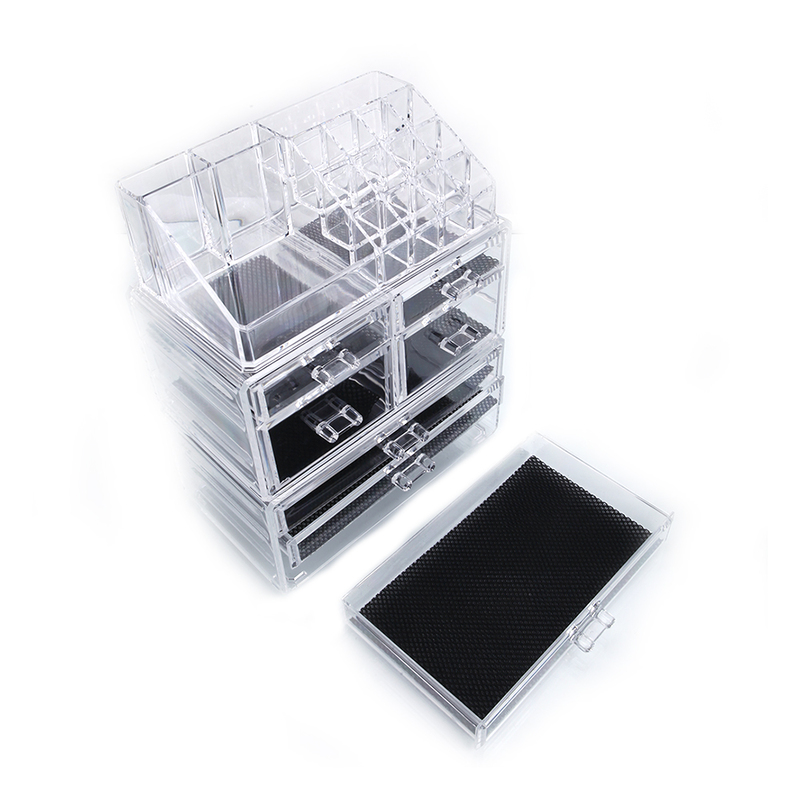 What is more, it is brand new and high quality for you to use. 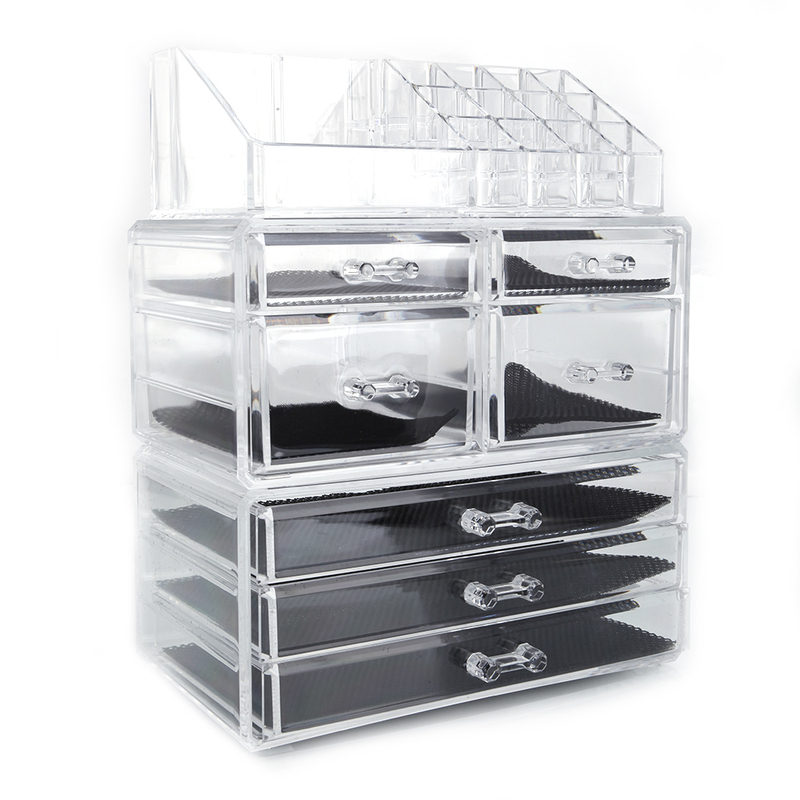 I received this cosmetics storage rack today and couldn't wait to use it.Although there are some small scratches on the storage box,it does not affect use.There's plenty of room to store lots of things.I am ready to buy another one next month.